Hudson is at the "stop taking pics of me" phase. Can you tell? 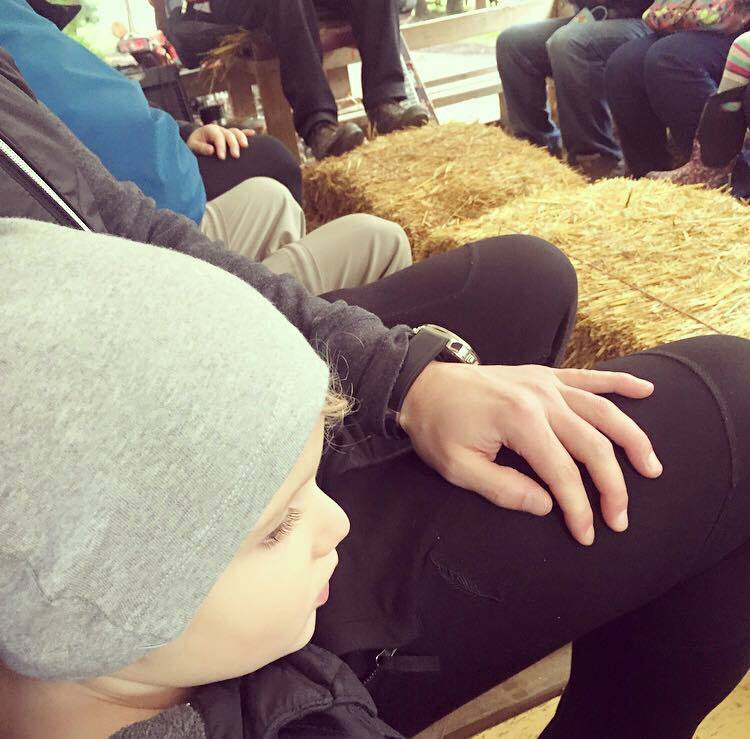 We had a fun-filled Sunday at the Richmond Country Farms Pumpkin Patch. I had been to another pumpkin patch in previous years and I assumed that this one was similar. Boy was I wrong! This patch was MASSIVE and it was like a freaking dream land for kids. If you wanted, you could easily spend the entire day there. Seriously, what more could a family want? We were SO impressed with the amount of things to see and do. It was fun getting muddy (Hudson even fell a few times), and the photo ops were endless. If you're in the Vancouver area and haven't yet visited The Richmond Country Farms Pumpkin Patch, I highly recommend it in your future.